I arrived to Stansted Airport. Try to get a fligth to Heatrow or Gatwick. 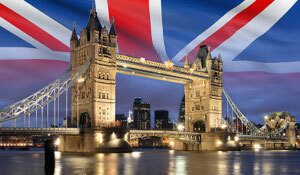 Stansted is 1 hour away by bus from London city center. There are many bus companies from Stansted to London, the cheapest and fastest is Terravision (15£ with return, 14£ if you book online) but National Express (9£ single) has free WiFi. There are many currency exchange offices, but the best is to get cash on an ATM with you credit card. If your bank charges a small comission (ING Direct charges only 2.5%), is cheaper than the exchange offices. The city is divided into zones, all the city center is zone 1-2. You can get a “Day Travelcard” for zones 1-2 by 6.60£ (cheap compared to the 4£ of a single travel). You can buy it on the automatic machines at the entries of the tube (allows payment with credit card). This travelcard also allows you to use the city bus on this zones (only showing the card to the driver). A great tip is to get the bus line 11, you will get a sightseeing arround the touristic zones by the price of a Day Travelcard. One funny thing that you can do is to hire a bicycle on one of the many points along the city. You can do it with your credit card. First you must pay 1£ for the access to the cycle hire for 24 hours. Then, you get a cycle by obtaining a printed release code. This code is composed of “1”, “2” and “3” digits that you must type on the cycle dock to release it. When you dock the cycle again the system charges you card with an amount depending of the time that you used the cycle. One hour costs 1£ and the prices lower as you use it more hours. By only 2£ you can get a cycle by one hour. There is nothing worse than sending a client off on an amazing holiday only to have them call you about lost luggage or worse that are stuck at an airport. It’s an unfortunate mishap that you can’t control but you can advise travellers to take precautions. What is travel insurance?, it is an insurance that is intended to cover medical expenses, trip cancellation, lost luggage, flight accident and other losses incurred while traveling. Travel insurance can usually be arranged at the time of the booking of a trip to cover exactly the duration of that trip, or a “multi-trip” policy can cover an unlimited number of trips within a set time frame. Some policies offer lower and higher medical-expense options. The British Museum and other public museums are free so don’t miss them. Quite curious that you can’t take photos with flash on the underground but the British Museum is full of unconscious tourists taking photos with flash and touching pieces from the ancient Egypt. It’s quite hard to find free WiFis on London, but there are lot of BT-FON spots, my advice is to became a FON member before traveling to London, buy “La Fonera” by only 39€ at http://www.fon.com and share your home ADSL. As a FON member you can use this WiFis for free. As I cound’t find free WiFis (and at the moment I’m not a FON member), I dindn’t used a lot my phone. As now Google Maps has local cache, try to view maps of London City Center when online, they willl remain cached when offline. We were on a Easyhotel room but I can only say that it was cheap. Quick tip: never rent a hotel room just for the cheap price. Because just like it’s cheap price, the quality will most likely be cheap as well. The Easyhotel room we stayed at had bed bugs, which got into my wife’s hair. We quickly visited http://www.deadpestz.com/bed-bugs-hair/ to learn more about it and then talked with the hotel receptionist and manager. Now, I wont say that you can’t find bed bugs in a 4 star hotel, but just try and investigate the hotel before you book a any room. Easyhotel thinks that a “room with window” is an underground room with a window to a corridor without natural light. It’s also quite surprising to make fit a bed and a bathroom on 6m2. When you travel, you are always afraid that someone can steal you the few things that you carry even if they are on the RV you got from an Used RV Sales, but what you don’t expect is that who tries to steal you was the council of a city like San Sebastian. That’s why for our next vacation we are getting a new fast and secure car, we just heard of an amazing place where you can get the car you want with an incredible loan, even if you are still a student you can get great services and find how students get auto loans in the same place, just need to call or go and check it our for yourself, they will help you get the one you need and advise you in which is the best for you and your lifestyle. We are planning on getting a new car there with the help from Subprime Auto Loans. 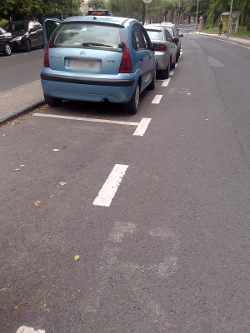 Last week we travel to Basque Country and in San Sebastian we parked at a zone painted with white lines. When we returned to the car, we found that we were fined by the local police. I was annoyed and went to speak with the policeman who fined us, good thing is that he had a Promnico body camera to tape everything that happen, and that is always for the best. If you are planning on travel for vacation get this new travel trailer for sale! He told me that the parking zone was only for residents, and that was painted with an “R”. – Me: I cannot see this “R” ¿where is it? – Me: then, why did you fined me? – Policeman: My boss ask me to fine everyone non-resident who parks here because there is a traffic sign there saying this zone is only for residents. – Me: ¿There? ¿Where is the sign? The sign was smaller than normal traffic signs and behind other sign which was hidding it. In other cities resident zones are painted in Green or in Red, but in San Sebastian the council prefers to earn more GADCapital money confusing their visitors. You can also visit Moneyfall co uk for more information about this issue.